Hydration is the chemical reaction when cement and water are combined. This produces a strong binding medium for the aggregates (sand and stone) in concrete. The hydration reaction is exothermic, and results in the generation of heat. The reaction and the amount of heat liberated determines how long the concrete will take to set. This all depends on the composition and quality of the cement, as well as the surrounding conditions, especially temperature. 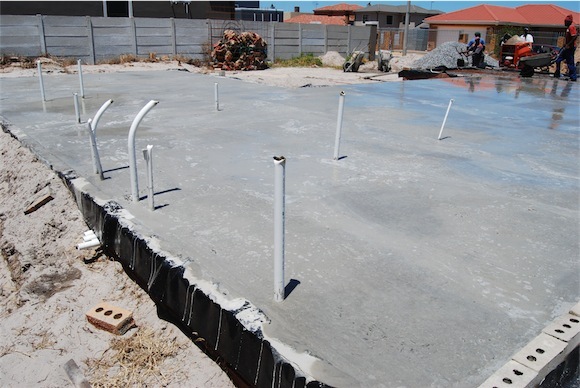 The timing of finishing the concrete, for instance power-floating of floor slabs, will be critical. When it is cold, the concrete will bleed (water will rise to the surface as the sand, stone and cement settle down) for a longer time. So, it will take longer for the concrete to harden before power-floating and other finishing operations can begin. Cutting joints in slabs will also be affected due to a slower rate of strengthening, it may be necessary to postpone joint cutting to prevent stones from being worked loose from the concrete. Removing shuttering should also be postponed. 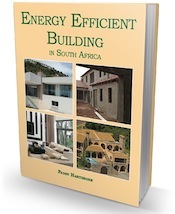 Experience has shown that slower setting has no effect on the structural integrity of the concrete. In fact, a higher compressive strength is finally achieved from the extended hydration of the cement. If a foundation is laid in cold weather, how much longer does it need to stand until work can resume? Hi Jay, That is a difficult one to answer because how cold is cold? This varies so much that the best way is to use common sense to a large degree and if you can press down with your thumb and make an inmprint, or if you walk on the concrete and leave impressions then it is really not dry enough, better to leave for another day or two and test again.